If the video becomes black, click here to refresh the page. On December 20, 2002 Maurice (Mo) Rosefelt was diagnosed with a cerebellar brain tumor. It was removed the following day and it turned out to be malignant, a medulloblastoma. After almost 19 months of combatting the cancer, Mo passed away at 7:10 AM on July 10, 2004. The "Progress" section has a chronicle of our ordeal. We have setup a new website to honor Mo's memory. It is at www.RememberingMo.com. 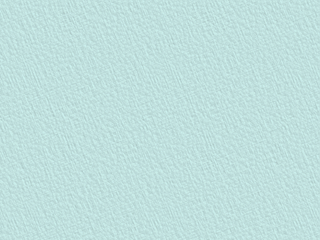 We plan to post videos, pictures and other momentos, and eventually to fold this website into that one. Dear friends: It has been sometime since I've updated Mo's website. We're doing fine, as there is no choice, one learns to live with the sadness. This Spring will bring some touching memorials to Mo's life, which I will post about them on the website in the near future. I'm also planning to put up a new, more permanent website to honor Mo's memory. 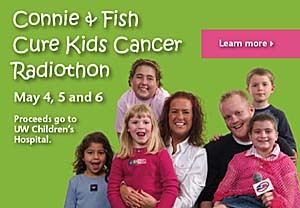 I would like to call your attention to a radiothon/fundraiser for the Children's Cancer Department at the UW Children's Hospital. It is being conducted through Friday, 5/6/50 cat 7 PM on Z104 in Madison. Local DJs Connie and Fish are doing a great job conducting the fundraiser - they have put a lot of work into it and it shows. I participated, but I have no idea when my interview will be aired. They are broadcasting from the Pediatric Floor at the hospital, where we spent so much time. Their website is here. The broadcast is peppered with interviews of parents and children who are being treated at the UW Children's Hospital. Like all things, it is bittersweet to listen to their stories, but I am reminded of all the days we spent there, how valuable it is to have a resource like this in our community, and how much more difficult our ordeal would've been if we had to travel for all our treatments. During the day I've heard many interviews with families who, at least for now, are cured. I am careful about endorsing any charities, but this is obviously a good cause. They are asking people to donate $15/month. We would like to thank everyone for the tremendous support that you have given to our family. Each letter, email and call (even if we cannot answer them) provides us with strength and hope. We know that this has touched many people and every gesture contributes to Mo's recovery. On April 2, 2003, Chris McHugh, a friend from childhood, passed away at the age of 40. Chris had a very aggressive form of breast cancer, which she fought for 6 years. During her struggle with cancer, she dedicated her life to supporting other cancer patients and working in many ways to improve cancer care. She touched many many people. After Mo's surgery, and despite the severity of her illness at the time, Chris brought him a bag of gifts - one to open daily after each radiation treatment. With 2 friends, Chris established Choose Hope, Inc. an organization that provides many resources for people whose lives are affected by cancer. They also sell humorous and inspirational gifts for cancer patients, families and caregivers, and donate a large percentage of their proceeds to cancer research.